The holy site of the Tomb of the Prophet Samuel, has been illegally broken into by the PA. Arab residents have begun to pave a new and illegal parking lot as a means of collecting fees from visitors to the site. This section is under full Israeli jurisdiction (Area C). Israeli NGO Regavim* documented the work being carried out at the site without permits and in violation of the law. 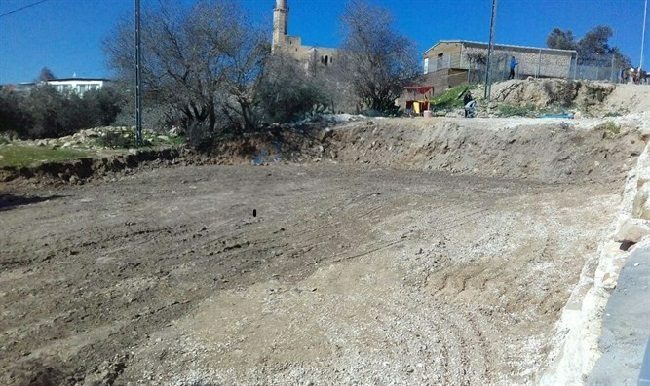 Regavim attorney Avi Segal issued an urgent request via letter to the Civil Administration, the body responsible for law enforcement in Area C, demanding that the work be halted immediately. *Regavim was hosted by AFSI at an event in NYC last month.